Ideal asserts in its first cause of action that Joseph and Vincent Anza violated § 1962(c), which makes it unlawful for “any person employed by or associated with any enterprise engaged in, or the activities of which affect, interstate or foreign commerce, to conduct or participate, directly or indirectly, in the conduct of such enterprise’s affairs through a pattern of racketeering activity or collection of unlawful debt.” The complaint states that the Anzas’ goal, which they achieved, was to give National a competitive advantage over Ideal. Proper interpretation of § 1964(c) required consideration of the statutory history, which revealed that “Congress modeled § 1964(c) on the civil-action provision of the federal anti-trust laws, § 4 of the Clayton Act.” Id., at 267. In Associated Gen. Contractors of Cal., Inc. v. Carpenters, 459 U. S. 519 (1983), the Court held that “a plaintiff’s right to sue under § 4 required a showing that the defendant’s violation not only was a `but for’ cause of his injury, but was the proximate cause as well.” Holmes, supra, at 268 (citing Associated Gen. Contractors, supra, at 534). This reasoning, the Court noted in Holmes, “applies just as readily to § 1964(c).” 503 U. S., at 268. Ideal’s theory is that Joseph and Vincent Anza harmed it by defrauding the New York tax authority and using the proceeds from the fraud to offer lower prices designed to attract more customers. The RICO violation alleged by Ideal is that the Anzas conducted National’s affairs through a pattern of mail fraud and wire fraud. The direct victim of this conduct was the State of New York, not Ideal. It was the State that was being defrauded and the State that lost tax revenue as a result. This conclusion is confirmed by considering the directness requirement’s underlying premises. See 503 U. S., at 269-270. One motivating principle is the difficulty that can arise when a court attempts to ascertain the damages caused by some remote action. See id., at 269 (“[T]he less direct an injury is, the more difficult it becomes to ascertain the amount of a plaintiff’s damages attributable to the violation, as distinct from other, independent, factors”). The instant case is illustrative. The injury Ideal alleges is its own loss of sales resulting from National’s decreased prices for cashpaying customers. National, however, could have lowered its prices for any number of reasons unconnected to the asserted pattern of fraud. It may have received a cash inflow from some other source or concluded that the additional sales would justify a smaller profit margin. Its lowering of prices in no sense required it to defraud the state tax authority. Likewise, the fact that a company commits tax fraud does not mean the company will lower its prices; the additional cash could go anywhere from asset acquisition to research and development to dividend payouts. Cf. id., at 271 (“The broker-dealers simply cannot pay their bills, and only that intervening insolvency connects the conspirators’ acts to the losses suffered by the nonpurchasing customers and general creditors”). I join the opinion of the Court. I also note that it is inconceivable that the injury alleged in the 18 U. S. C. § 1962(c) claim at issue here is within the zone of interests protected by the RICO cause of action for fraud perpetrated upon New York State. See Holmes v. Securities Investor Protection Corporation, 503 U. S. 258, 286-290 (1992) (Scalia, J., concurring in judgment). The Court today limits the lawsuits that may be brought under the civil enforcement provision of the Racketeer Influenced and Corrupt Organizations Act (RICO or Act), 18 U. S. C. § 1961 et seq. (2000 ed. and Supp. III), by adopting a theory of proximate causation that is supported neither by the Act nor by our decision in Holmes v. Securities Investor Protection Corporation, 503 U. S. 258, 268 (1992), on which the Court principally relies. The Court’s stringent proximate-causation requirement succeeds in precluding recovery in cases alleging a violation of § 1962(c) that, like the present one, have nothing to do with organized crime, the target of the RICO statute. However, the Court’s approach also eliminates recovery for plaintiffs whose injuries are precisely those that Congress aimed to remedy through the authorization of civil RICO suits. Because this frustration of congressional intent is directly contrary to the broad language Congress employed to confer a RICO cause of action, I respectfully dissent from Part II of the Court’s opinion. The language of the civil RICO provision, which broadly permits recovery by “[a]ny person injured in his business or property by reason of a violation” of the Act’s substantive restrictions, § 1964(c) (2000 ed. ), plainly covers the lawsuit brought by respondent. Respondent alleges that it was injured in its business, and that this injury was the direct result of petitioners’ violation of § 1962(c). App. 12-17. In 464*464 Holmes, however, we held that a RICO plaintiff is required to show that the RICO violation “not only was a `but for’ cause of his injury, but was the proximate cause as well.” 503 U. S., at 268. We employed the term “`proximate cause’ to label generically the judicial tools used to limit a person’s responsibility for the consequences of that person’s own acts.” Ibid. These tools reflect “`ideas of what justice demands, or of what is administratively possible and convenient. '” Ibid. (quoting W. Keeton, D. Dobbs, R. Keeton, & D. Owen, Prosser and Keeton on Law of Torts § 41, p. 264 (5th ed. 1984) (hereinafter Prosser & Keeton)). Invoking one of the common-law proximate-cause considerations, we held that a RICO plaintiff must prove “some direct relation between the injury asserted and the injurious conduct alleged.” 503 U. S., at 268. Today the Court applies this formulation to conclude that the “attenuated relationship” between the violation of § 1962(c) and Ideal’s injury “implicates fundamental concerns expressed in Holmes” and that the “absence of proximate causation is equally clear in both cases.” Ante, at 459, 458. But the Court’s determination relies on a theory of “directness” distinct from that adopted by Holmes. In Holmes, the Court explained that “a plaintiff who complained of harm flowing merely from the misfortunes visited upon a third person by the defendant’s acts was generally said to stand at too remote a distance to recover.” 503 U. S., at 268-269. The plaintiff in Holmes was indirect in precisely this sense. The defendant was alleged to have participated in a stock manipulation scheme that disabled two broker-dealers from meeting their obligations to customers. Accordingly, the plaintiff, Securities Investor Protection Corporation (SIPC), had to advance nearly $13 million to cover the claims of customers of those broker-dealers. SIPC attempted to sue based on the claim that it was subrogated to the rights of those customers of the broker-dealers who did not purchase manipulated securities. We held that 465*465 the nonpurchasing customers’ injury was not proximately caused by the defendant’s conduct, because “the conspirators have allegedly injured these customers only insofar as the stock manipulation first injured the broker-dealers and left them without the wherewithal to pay customers’ claims.” Id., at 271. Here, in contrast, it was not New York’s injury that caused respondent’s damages; rather, it was petitioners’ own conduct—namely, their underpayment of tax—that permitted them to undercut respondent’s prices and thereby take away its business. Indeed, the Court’s acknowledgment that there is no appreciable risk of duplicative recovery here, in contrast to Holmes, ante, at 459, is effectively a concession that petitioners’ damages are not indirect, as that term is used in Holmes. See 503 U. S., at 269 (“[R]ecognizing claims of the indirectly injured would force courts to adopt complicated rules apportioning damages among plaintiffs removed at different levels of injury from the violative acts, to obviate the risk of multiple recoveries”). The mere fact that New York is a direct victim of petitioners’ RICO violation does not preclude Ideal’s claim that it too is a direct victim. Because the petitioners’ tax underpayment directly caused respondent’s injury, Holmes does not bar respondent’s recovery. The Court nonetheless contends that respondent has failed to demonstrate proximate cause. It does so by relying on our observation in Holmes that the directness requirement is appropriate because “`[t]he less direct an injury is, the more difficult it becomes to ascertain the amount of a 466*466 plaintiff’s damages attributable to the violation, as distinct from other, independent, factors. '” Ante, at 458 (quoting Holmes, supra, at 269, in turn, citing Associated Gen. Contractors of Cal., Inc. v. Carpenters, 459 U. S. 519 (1983)). In Holmes, we noted that it would be hard for the District Court to determine how much of the broker-dealers’ failure to pay their customers was due to the fraud and how much was due to other factors affecting the broker-dealers’ business success. 503 U. S., at 273-274. The Court contends that here, as in Holmes, it is difficult to “ascertain the damages caused by some remote action.” Ante, at 458. The Court’s reliance on the difficulty of ascertaining the amount of Ideal’s damages caused by petitioners’ unlawful acts to label those damages indirect is misguided. Holmes and Associated General Contractors simply held that one reason that indirect injuries should not be compensable is that such injuries are difficult to ascertain. Holmes, supra, at 269; Associated Gen. Contractors, supra, at 542. We did not adopt the converse proposition that any injuries that are difficult to ascertain must be classified as indirect for purposes of determining proximate causation. Proximate cause and certainty of damages, while both related to the plaintiff’s responsibility to prove that the amount of damages he seeks is fairly attributable to the defendant, are distinct requirements for recovery in tort. See 4 Restatement 467*467 (Second) of Torts § 912 (1977) (certainty of damages); 2 id., §§ 430-431 (1963-1964) (proximate causation). That is, to recover, a plaintiff must show both that his injury is sufficiently connected to the tort that “the moral judgment and practical sense of mankind [will] recognize responsibility in the domain of morals,” Sutherland 18, and that the specific pecuniary advantages, the loss of which is alleged as damages, “would have resulted, and, therefore, that the act complained of prevented them,” id., at 106-107. Holmes and Associated General Contractors dealt primarily with the former showing. The Court’s discussion of the union’s “highly speculative” damages in Associated General Contractors focused not on the difficulty of proving the precise amount of damages, but with “the tenuous and speculative character of the relationship between the alleged antitrust violation and the Union’s alleged injury.” 459 U. S., at 545. Here, the relationship between the alleged RICO violation and the alleged injury is clear: Petitioners underpaid sales tax, permitting them to undercharge sales tax, inflicting competitive injury on respondent. The question with which the Court expresses concern—whether Ideal can prove the amount of its actual damages “with sufficient certainty,” Sutherland 106, 107, to permit recovery—is simply not before the Court. It is nonetheless worth noting that the Court overstates the difficulties of proof faced by respondent in this case. Certainly the plaintiff in this case, as in all tort cases involving damage to business, must demonstrate that he suffered a harm caused by the tort, and not merely by external market conditions. See generally Prosser & Keeton § 130, at 1014-1015, and nn. 92-99 (gathering cases authorizing liability for torts that “depriv[e] the plaintiff of customers or other prospects”); cf. Dura Pharmaceuticals, Inc. v. Broudo, 544 U. S. 468*468 336, 342 (2005) (“[A]n inflated purchase price will not itself constitute or proximately cause the relevant economic loss,” absent evidence that it was the inflated price that actually caused harm). But under the facts as alleged by Ideal, National did not generally lower its prices, so the Court need not inquire into “any number of reasons,” ante, at 458, that it might have done so. Instead, it simply ceased charging tax on cash sales, allegedly, and logically, because it had ceased reporting those sales and accordingly was not itself paying sales tax on them. App. 11-13. Nor is it fatal to Ideal’s proof of damages that National could have continued to charge taxes to its customers and invested the additional money elsewhere. Ante, at 459. Had National actually done so, it might be difficult to ascertain the damages suffered by Ideal as a result of that investment. But the mere fact that National could have committed tax fraud without readily ascertainable injury to Ideal does not mean that its tax fraud necessarily caused no readily ascertainable injury in this case. Likewise, the Court is undoubtedly correct that “Ideal’s lost sales could have resulted from factors other than petitioners’ alleged acts of fraud.” Ibid. However, the means through which the fraudulent scheme was carried out—with sales tax charged on noncash sales, but no tax charged on cash sales—renders the damages more ascertainable than in the typical case of lost business. In any event, it is well within the expertise of a district court to evaluate testimony and evidence and determine what portion of 469*469 Ideal’s lost sales are attributable to National’s lower prices and what portion to other factors. The Court also relies on an additional reason Holmes gave for limiting recovery to direct victims—namely, that “[t]he requirement of a direct causal connection is especially warranted where the immediate victims of an alleged RICO violation can be expected to vindicate the laws by pursuing their own claims.” Ante, at 460 (citing Holmes, 503 U. S., at 269-270). Certainly, New York can sue here and vindicate the law, rendering respondent’s enforcement of the law less necessary than it would be if respondent were the only direct victim of the illegal activity. But our recognition in Holmes that limiting recovery to direct victims would not undermine deterrence does not support the conclusion that any victim whose lawsuit is unnecessary for deterrence is an indirect victim. Indeed, in any tort case with multiple possible plaintiffs, a single plaintiff’s lawsuit could suffice to vindicate the law. If multiple plaintiffs are direct victims of a tort, it would be unjust to declare some of their lawsuits unnecessary for deterrence, absent any basis for doing so in the relevant statute. 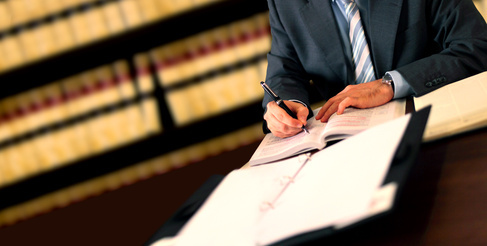 Because respondent’s injuries result from petitioners’ fraud, and not from New York’s injuries, respondent has a right to recover equal to that of New York. Application of common-law principles of proximate causation beyond the directness requirement likewise supports a finding that causation was sufficiently pleaded in this case. Though the Holmes Court noted that directness was “one of [the] central elements” it had considered in evaluating causation, it recognized that proximate causation took “many shapes” at common law. Id., at 268, 269. Cf. Prosser & Keeton § 42, at 273 (noting “two contrasting theories of legal cause,” one extending liability to, but not beyond, “the scope of the `foreseeable risks,'” and the other extending liability to, but not beyond, all “`directly traceable'” consequences 470*470 and those indirect consequences that are foreseeable). The proximate-cause limitation serves to ensure that “a defendant is not answerable for anything beyond the natural, ordinary and reasonable consequences of his conduct.” Sutherland 57. “If one’s fault happens to concur with something extraordinary, and therefore not likely to be foreseen, he will not be answerable for such unexpected result.” Ibid. Based on this principle, courts have historically found proximate causation for injuries from natural causes, if a wrongful act “rendered it probable that such an injury will occur,” id., at 62; for injuries where the plaintiff’s reliance is the immediate cause, such as in an action for fraud, so long as the reliance was “reasonably induced by the prior misconduct of the defendant,” id., at 62, 63; and for injuries where an innocent third party intervenes between the tortfeasor and the victim, such that the innocent third party is the immediate cause of the injury, so long as the tortfeasor “contributed so effectually to [the injury] as to be regarded as the efficient or at least concurrent and responsible cause,” id., at 64, 65 (emphasis deleted). The Court of Appeals, by limiting RICO plaintiffs to those who are “`the targets, competitors and intended victims of the racketeering enterprise,'” 373 F. 3d 251, 260 (CA2 2004) (quoting Lerner v. Fleet Bank, N. A., 318 F. 3d 113, 124 (CA2 2003)), outlined a proximate-causation standard that falls well in line both with the reasoning behind having a proximate-cause requirement at all, and with the traditional applications of this standard to tortfeasors who caused injury only through a two-step process. The Court, in contrast, permits a defendant to evade liability for harms that are not only foreseeable, but the intended consequences of the defendant’s unlawful behavior. A defendant may do so simply by concocting a scheme under which a further, lawful and 471*471 intentional step by the defendant is required to inflict the injury. Such a rule precludes recovery for injuries for which the defendant is plainly morally responsible and which are suffered by easily identifiable plaintiffs. There is no basis in the RICO statute, in common-law tort, or in Holmes for reaching this result. Because neither the plain language of the civil RICO provision nor our precedent supports the Court’s holding, it must be rejected. It is worth noting, however, that while the Court’s holding in the present case may prevent litigation in an area far removed from the concerns about organized crime that led to RICO’s enactment, that holding also precludes civil recovery for losses sustained by business competitors as a result of quintessential organized criminal activity, cases Congress indisputably intended its broad language to reach. Congress plainly enacted RICO to address the problem of organized crime, and not to remedy general state-law criminal violations. See H. J. Inc. v. Northwestern Bell Telephone Co., 492 U. S. 229, 245 (1989). There is some evidence, to be sure, that the drafters knew that RICO would have the potential to sweep more broadly than organized crime and did not find that problematic. Id., at 246-248. Nevertheless, the Court has recognized that “in its private civil version, RICO is evolving into something quite different from the original conception of its enactors.” Sedima, S. P. R. L. v. Imrex Co., 473 U. S. 479, 500 (1985). Judicial sentiment that civil RICO’s evolution is undesirable is widespread. Numerous Justices have expressed dissatisfaction with either the breadth of RICO’s application, id., at 501 (Marshall, J., joined by Brennan, Blackmun, and Powell, JJ., dissenting) (“The Court’s interpretation of the civil RICO statute quite simply revolutionizes private litigation; it validates the federalization of broad areas of state common law of frauds, and it approves the displacement of well-established federal remedial provisions. . . . [T]here is no indication that Congress even considered, much less approved, the scheme that the Court today defines”), or its general vagueness at outlining the conduct it is intended to prohibit, H. J. Inc., supra, at 255-256 (Scalia, J., joined by Rehnquist, C. J., and O’Connor and Kennedy, JJ., concurring in judgment) (“No constitutional challenge to this law has been raised in the present case . . . . That the highest Court in the land has been unable to derive from this statute anything more than today’s meager guidance bodes ill for the day when that challenge is presented”). Indeed, proposals for curtailing civil RICO have been introduced in Congress; for example, the Private Securities Litigation Reform Act, enacted in 1995, removed securities fraud as a predicate act under RICO. Pub. L. 104-67, § 107, 109 Stat. 758, amending 18 U. S. C. § 1964(c); see also Abrams, Crime Legislation and the Public Interest: Lessons from Civil RICO, 50 SMU L. Rev. 33, 34 (1996). This case, like the majority of civil RICO cases, has no apparent connection to organized crime. See Sedima, 473 U. S., at 499, n. 16 (quoting an ABA Task Force determination that, over the period reviewed, only 9% of civil RICO cases at the trial court level involved “`allegations of criminal activity of a type generally associated with professional criminals'”). Given the distance the facts of this case lie 473*473 from the prototypical organized criminal activity that led to RICO’s enactment, it is tempting to find in the Act a limitation that will keep at least this and similar cases out of court. The Court’s attempt to exclude this case from the reach of civil RICO, however, succeeds in eliminating not only cases that lie far outside the harm RICO was intended to correct, but also those that were at the core of Congress’ concern in enacting the statute. The Court unanimously recognized in Sedima that one reason—and, for the dissent, the principal reason—Congress enacted RICO was to protect businesses against competitive injury from organized crime. See id., at 500-523 (Marshall, J., dissenting) (concluding that the provision conferring a right of action on individual plaintiffs had as its “principal target . . . the economic power of racketeers, and its toll on legitimate businessmen”); id., at 494-500. “`[This] bill also creates civil remedies for the honest businessman who has been damaged by unfair competition from the racketeer businessman. Despite the willingness of the courts to apply the Sherman Anti-Trust Act to organized crime activities, as a practical matter the legitimate businessman does not have adequate civil remedies available under that act. This bill fills that 474*474 gap. '” Id., at 516 (Marshall, J., dissenting) (quoting 115 Cong. Rec. 6993 (1969); emphasis deleted). A portion of these bills was ultimately included in RICO, which was attached as Title IX to the Organized Crime Control Act. The Committee Report noted that the Title “has as its purpose the elimination of the infiltration of organized crime and racketeering into legitimate organizations operating in interstate commerce.” S. Rep. No. 91-617, p. 76 (1969). The observations of the President’s Commission on Law Enforcement and Administration of Justice, the source of much of the congressional concern over organized crime, are consistent with these statements. Its chapter on organized crime noted that “organized crime is also extensively and deeply involved in legitimate business . . . . [I]t employs illegitimate methods—monopolization, terrorism, extortion, tax evasion—to drive out or control lawful ownership and leadership and to exact illegal profits from the public.” The Challenge of Crime in a Free Society 187 (1967). The report noted that “[t]he millions of dollars [organized crime] can throw into the legitimate economic system gives it power to manipulate the price of shares on the stock market, to raise or lower the price of retail merchandise, to determine whether entire industries are union or nonunion, to make it easier or harder for businessmen to continue in business.” Ibid. It is not difficult to imagine a competitive injury to a business that would result from the kind of organized crime that Sedima, Congress, and the Commission all recognized as the principal concern of RICO, yet that would fail the Court’s restrictive proximate-cause test. For example, an organized crime group, running a legitimate business, could, through threats of violence, persuade its supplier to sell goods to it at cost, so that it could resell those goods at a lower price to drive its competitor out of the business. Honest businessmen would be unable to compete, as they do not engage in 475*475 threats of violence to lower their costs. Civil RICO, if it was intended to do anything at all, was intended to give those businessmen a cause of action. Cf. Sedima, 473 U. S., at 521-522 (Marshall, J., dissenting). Yet just like respondent, those businessmen would not themselves be the immediate target of the threats; the target would be the supplier. Like respondent’s injury, their injury would be most immediately caused by the lawful activity of price competition, not the unlawful activity of threatening the supplier. Accordingly, under the Court’s view, the honest businessman competitor would be just an “indirect” victim, whose injury was not proximately caused by the RICO violation. Civil RICO would thus confer no right to sue on the individual who did not himself suffer the threats of violence, even if the threats caused him harm. As a result, after today, civil RICO plaintiffs that suffer precisely the kind of injury that motivated the adoption of the civil RICO provision will be unable to obtain relief. If this result was compelled by the text of the statute, the interference with congressional intent would be unavoidable. Given that the language is not even fairly susceptible of such a reading, however, I cannot agree with this frustration of congressional intent. Because I conclude that Ideal has sufficiently pleaded proximate cause, I must proceed to the question which the Court does not reach: whether reliance is a required element of a RICO claim predicated on mail or wire fraud and, if it is, whether that reliance must be by the plaintiff. The Court of Appeals held that reliance is required, but that “a RICO claim based on mail fraud may be proven where the misrepresentations were relied on by a third person, rather than 476*476 by the plaintiff.” 373 F. 3d, at 262, 263. I disagree with the conclusion that reliance is required at all. In my view, the mere fact that the predicate acts underlying a particular RICO violation happen to be fraud offenses does not mean that reliance, an element of common-law fraud, is also incorporated as an element of a civil RICO claim. Petitioners are correct that the common law generally required a showing of justifiable reliance before a plaintiff could recover for damages caused by fraud. See Neder v. United States, 527 U. S. 1, 24-25 (1999); Prosser & Keeton § 105, at 728. But RICO does not confer on private plaintiffs a right to sue defendants who engage in any act of commonlaw fraud; instead, racketeering activity includes, as relevant to this case, “any act which is indictable under [18 U. S. C. §] 1341 (relating to mail fraud) [and §] 1343 (relating to wire fraud).” § 1961(1) (2000 ed., Supp. III). And we have recognized that these criminal fraud statutes “did not incorporate all the elements of common-law fraud.” Neder, 527 U. S., at 24. Instead, the criminal mail fraud statute applies to anyone who, “having devised or intending to devise any scheme or artifice to defraud . . . for the purpose of executing such scheme or artifice or attempting so to do, places in any post office . . . any matter or thing whatever to be sent or delivered by the Postal Service . . . .” § 1341. See § 1343 (similar language for wire fraud). We have specifically noted that “[b]y prohibiting the `scheme to defraud,’ rather than the completed fraud, the elements of reliance . . . would clearly be inconsistent with the statutes Congress enacted.” Id., at 25. Because an individual can commit an indictable act of mail or wire fraud even if no one relies on his fraud, he can engage in a pattern of racketeering activity, in violation of § 1962, without proof of reliance. Accordingly, it cannot be disputed that the Government could prosecute a person for such behavior. The terms of § 1964(c) (2000 ed. ), which broadly authorize suit by “[a]ny person injured in his business or property by reason of a violation of section 1962,” permit no different conclusion when an individual brings a civil action against such a RICO violator. It is true that our decision in Holmes to apply the common-law proximate-cause requirement was likewise not compelled by the broad language of the statute. But our decision in that case was justified by the “very unlikelihood that Congress meant to allow all factually injured plaintiffs to recover.” 503 U. S., at 266. This unlikelihood stems, in part, from the nature of proximate cause, which is “not only a general condition of civil liability at common law but is almost essential to shape and delimit a rational remedy.” Systems Management, Inc. v. Loiselle, 303 F. 3d 100, 104 (CA1 2002). We also decided Holmes in light of Congress’ decision to use the same words to impose civil liability under RICO as it had in § 7 of the Sherman Act, 26 Stat. 210, into which federal courts had implied a proximate-cause limitation. 503 U. S., at 268. Accordingly, it was fair to interpret the broad language “by reason of” as meaning, in all civil RICO cases, that the violation must be both the cause-in-fact and the proximate cause of the plaintiff’s injury. Here, by contrast, the civil action provision cannot be read to always require that the plaintiff have relied on the defendant’s action. Reliance is not a general limitation on civil recovery in tort; it “is a specialized condition that happens to have grown up with common law fraud.” Loiselle, supra, at 104. For most of the predicate acts underlying RICO violations, it cannot be argued that the common law, if it even recognized such acts as civilly actionable, required proof of reliance. See § 1961 (2000 ed., Supp. III). In other words, there is no language in § 1964(c) (2000 ed.) that could fairly be read to add a reliance requirement in fraud cases only. Nor is there any reason to believe that Congress would have defined “racketeering activity” to include acts indictable under the mail and wire fraud statutes, if it intended fraud-related acts to be predicate acts under RICO only 478*478 when those acts would have been actionable under the common law. Because reliance cannot be read into §§ 1341 and 1343, nor into RICO itself, it is not an element of a civil RICO claim. This is not to say that, in the general case, a plaintiff will not have to prove that someone relied on the predicate act of fraud as part of his case. If, for example, New York had not believed petitioners’ misrepresentation with respect to their sales, Ideal may well not have been injured by petitioners’ scheme, which would have faltered at the first step. Indeed, petitioners recognize that “in the ordinary misrepresentation case, the reliance requirement simply functions as a necessary prerequisite to establishing the causation required by the language of § 1964(c).” Brief for Petitioners 29. But the fact that proof of reliance is often used to prove an element of the plaintiff’s cause of action, such as the element of causation, does not transform reliance itself into an element of the cause of action. See Loiselle, supra, at 104 (“Reliance is doubtless the most obvious way in which fraud can cause harm, but it is not the only way”). Because respondent need not allege reliance at all, its complaint, which alleges that New York relied on petitioners’ misrepresentations, App. 16, is more than sufficient. The Congress that enacted RICO may never have intended to reach cases like the one before us, and may have “federalize[d] a great deal of state common law” without any intention of “produc[ing] these far-reaching results.” Sedima, 473 U. S., at 506 (Marshall, J., dissenting). But this Court has always refused to ignore the language of the statute to limit it to “the archetypal, intimidating mobster,” and has instead recognized that “[i]t is not for the judiciary to eliminate the private action in situations where Congress has provided it simply because plaintiffs are not taking advantage of it in its more difficult applications.” Id., at 499-500. 479*479 Today, however, the Court not only eliminates private RICO actions in some situations Congress may have inadvertently regulated, but it substantially limits the ability of civil RICO to reach even those cases that motivated Congress’ enactment of this provision in the first place. I respectfully dissent. In my view, the civil damages remedy in the Racketeer Influenced and Corrupt Organizations Act (RICO), 18 U. S. C. §§ 1961-1968 (2000 ed. and Supp. III), does not cover claims of injury by one competitor where the legitimate procompetitive activity of another competitor immediately causes that injury. I believe that this is such a case and would consequently hold that RICO does not authorize the private action here at issue. RICO essentially seeks to prevent organized criminals from taking over or operating legitimate businesses. Its language, however, extends its scope well beyond those central purposes. RICO begins by listing certain predicate acts, called “`racketeering activity,'” which consist of other crimes, ranging from criminal copyright activities, the facilitation of gambling, and mail fraud to arson, kidnaping, and murder. § 1961(1) (2000 ed., Supp. III). It then defines a “`pattern of racketeering activity'” to include engaging in “at least two” predicate acts in a 10-year period. § 1961(5) (2000 ed.). And it forbids certain business-related activities involving such a “pattern” and an “enterprise.” The forbidden activities include using funds derived from a “pattern of racketeering activity” in acquiring, establishing, or operating any enterprise, and conducting the affairs of any enterprise through such “a pattern.” §§ 1962(a), (c). 480*480 RICO, a federal criminal statute, foresees criminal law enforcement by the Federal Government. § 1963 (2000 ed., Supp. III). It also sets forth civil remedies. § 1964 (2000 ed.). District courts “have jurisdiction to prevent and restrain [RICO] violations.” § 1964(a). And a person “injured in his business or property by reason of a [RICO] violation” may seek treble damages and attorney’s fees. § 1964(c). The present case is a private RICO treble-damages action. A steel supply company, Ideal Steel, has sued a competing steel supply company, National Steel, and its owners, Joseph and Vincent Anza (to whom I shall refer collectively as “National”). Ideal says that National committed mail fraud by regularly filing false New York state sales tax returns in order to avoid paying sales tax that it owed—activity that amounts to a “pattern of racketeering activity.” This activity enabled National to charge lower prices without reducing its profit margins. Ideal says National used some of these excess profits to fund the building of a new store. Both the lower prices and the new outlet attracted Ideal customers, thereby injuring Ideal. Hence, says Ideal, it was injured “in [its] business . . . by reason of” violations of two RICO provisions, the provision that forbids conducting an “enterprise’s affairs” through a “pattern of racketeering activity” and the provision that forbids investing funds derived from such a “pattern” in an “enterprise.” §§ 1962(c), (a), 1964(c). The question before us is whether RICO permits Ideal to bring this private treble-damages claim. This Court, in Holmes v. Securities Investor Protection Corporation, 503 U. S. 258, 268 (1992), held that RICO’s private treble-damages provision “demand[ed] . . . some direct relation between the injury asserted and the injurious conduct alleged.” The Court then determined that the injury 481*481 alleged by the plaintiff in that case was too remote from the injurious conduct to satisfy this requirement. I do not agree with the majority insofar as it believes that Holmes’ holding in respect to the fact pattern there at issue virtually dictates the answer to the question here. In my view, the “causal connection” between the forbidden conduct and plaintiff’s harm is, in certain key ways, more direct here than it was in Holmes. In Holmes, the RICO plaintiff was a surrogate for creditors of broker-dealers that went bankrupt after losing money in stocks that had been overvalued due to fraudulent statements made by the RICO defendant and others. Put in terms of “proximate cause,” the plaintiff’s harm (an ordinary creditor loss) differed in kind from the harm that the “predicate acts” (securities fraud) would ordinarily cause (stock-related monetary losses). The harm was “indirect” in the sense that it was entirely derivative of the more direct harm the defendant’s actions had caused the broker-dealers; and, there were several steps between the violation and the harm (misrepresentation—broker-dealer losses—broker-dealer business failure—ordinary creditor loss). Here, however, the plaintiff alleges a harm (lost customers) that flows directly from the lower prices and the opening of a new outlet—actions that were themselves allegedly caused by activity that Congress designed RICO to forbid (conducting a business through a “pattern” of “predicate acts” and investing in business funds derived from such a “pattern”). In this sense, the causal links before us are more “direct” than those in Holmes. See ante, at 464-465 (Thomas, J., concurring in part and dissenting in part). Nonetheless, I agree with the majority that Holmes points the way. That case makes clear that RICO contains important limitations on the scope of private rights of action. It specifies that RICO does not provide a private right of action “simply on showing that the defendant violated § 1962, the plaintiff was injured, and the defendant’s violation was a `but for’ cause of [the] plaintiff’s injury.” 503 U. S., at 265-266 482*482 (footnote omitted). Pointing out “the very unlikelihood that Congress meant to allow all factually injured plaintiffs to recover,” id., at 266 (emphasis added), Holmes concludes that RICO imposes a requirement of “proximate cause,” a phrase that “label[s] generically the judicial tools used to limit a person’s responsibility for the consequences of that person’s own acts,” id., at 268. It recognizes that these tools seek to discern “`what justice demands, or . . . what is administratively possible and convenient. '” Ibid. (quoting W. Keeton, D. Dobbs, R. Keeton, & D. Owen, Prosser and Keeton on Law of Torts § 41, p. 264 (5th ed. 1984)). It also explains that “proximate cause” demands “directness,” while specifying that “directness” is only one of “the many shapes this concept took at common law.” 503 U. S., at 268, 269. And it points to antitrust law, both as a source of RICO’s trebledamages provisions and as an aid to their interpretation. Ibid. In my view, the “antitrust” nature of the treble-damages provision’s source, taken together with both RICO’s basic objectives and important administrative concerns, implies that a cause is “indirect,” i. e., it is not a “proximate cause,” if the causal chain from forbidden act to the injury caused a competitor proceeds through a legitimate business’ ordinary competitive activity. To use a physical metaphor, ordinary competitive actions undertaken by the defendant competitor cut the direct causal link between the plaintiff competitor’s injuries and the forbidden acts. At the same time, those principles suggest that other types of competitive injuries not within their protective ambit could lie within, not outside, “proximate-cause” limits. Where, for example, a RICO defendant attracts customers in ways that involve illegitimate competitive means, e. g., by threatening violence, a claim may still lie. Claims involving RICO violations that objectively target a particular competitor, e. g., bribing an official to harass a competitor, could also be actionable. Several considerations lead to this conclusion. First, I have found no case (outside the Second Circuit, from which this case arose) in which a court has authorized a private treble-damages suit based upon no more than a legitimate business’ ordinary procompetitive activity (even where financed by the proceeds of a RICO predicate act). Second, an effort to bring harm caused by ordinary competitive activity within the scope of RICO’s private trebledamages action provision will raise serious problems of administrability. Ante, at 458-460 (majority opinion); see also Holmes, supra, at 269. To demonstrate that a defendant’s lower price caused a plaintiff to lose customers (or profits) requires the plaintiff to show what would have happened in its absence. Would customers have changed suppliers irrespective of the price change because of other differences in the suppliers? Would other competing firms have lowered their prices? Would higher prices have attracted 484*484 new entry? Would demand for the industry’s product, or the geographic scope of the relevant market, have changed? If so, how? To answer such questions based upon actual market circumstances and to apportion damages among the various competitors harmed is difficult even for plaintiffs trying to trace harm caused by a defendants’ anti-competitive behavior. Associated Gen. Contractors of Cal., Inc. v. Carpenters, 459 U. S. 519, 542, 544 (1983) (the possibility that harm “may have been produced by independent factors” and “the danger of complex apportionment of damages” weigh against finding the requisite causal connection in an antitrust case). To answer such questions in the context of better functioning markets, where prices typically reflect competitive conditions, would likely prove yet more difficult. Third, where other victims, say, victims of the underlying RICO “predicate acts” are present, there is no pressing need to provide such an action. Those alternative victims (here the State of New York) typically “could be counted on to bring suit for the law’s vindication.” Holmes, supra, at 273. They could thus fulfill Congress’ aim in adopting the civil remedy of “turn[ing victims] into prosecutors, `private attorneys general,’ dedicated to eliminating racketeering activity.” Rotella v. Wood, 528 U. S. 549, 557 (2000) (citing Klehr v. A. O. Smith Corp., 521 U. S. 179, 187 (1997)). Fourth, this approach to proximate cause would retain private actions aimed at the heart of Congress’ relevant RICO concerns. RICO’s sponsors, in reporting their underlying reasons for supporting RICO, emphasized, not the fair, ordinary competition that an infiltrated business might offer its competitors, but the risk that such a business would act corruptly, exercising unfair methods of competition. S. Rep. No. 91-617, pp. 76-78 (1969); see also Cedric Kushner Promotions, Ltd. v. King, 533 U. S. 158, 165 (2001). RICO focuses upon the “infiltration of legitimate business by organized crime,” in significant part because, when “`organized crime moves into a business, it brings all the techniques of 485*485 violence and intimidation which it used in its illegal businesses. '” Sedima, S. P. R. L. v. Imrex Co., 473 U. S. 479, 517, 515 (1985) (Marshall, J., dissenting) (quoting 113 Cong. Rec. 17999 (1967)). My approach would not rule out private actions in such cases. Nor would it rule out three of the four suits mentioned by Justice Marshall, dissenting in Sedima, when he describes RICO’s objectives. It would not rule out lawsuits by injured competitors or legitimate investors if a racketeer, “uses `[t]hreats, arson and assault . . . to force competitors out of business'”; “uses arson and threats to induce honest businessmen to pay protection money, or to purchase certain goods, or to hire certain workers”; or “displace[s]” an “honest investor” when he “infiltrates and obtains control of a legitimate business . . . through fraud” or the like. 473 U. S., at 521, 522. I concede that the approach would rule out a competitor’s lawsuit based on no more than an “infiltrated enterprise” operating a legitimate business to a businessman’s competitive disadvantage because unlawful predicate acts helped that legitimate business build a “strong economic base.” And I recognize that this latter kind of suit at least arguably would have provided helpful deterrence had the view of Sedima’s dissenting Justices prevailed. Id., at 500-523 (Marshall, J., dissenting) (arguing that RICO’s private action provision did not authorize suits based on harm flowing directly from predicate acts); id., at 523-530 (Powell, J., dissenting) (same). But the dissent did not prevail, and the need for deterrence consequently offers only weakened support for a reading of RICO that authorizes private suits in this category. Fifth, without this limitation, RICO enforcement and basic antitrust policy could well collide. Firms losing the competitive battle might find bases for a RICO attack on their more successful competitors in claimed misrepresentations or even comparatively minor misdeeds by that competitor. Firms 486*486 that fear such treble-damages suits might hesitate to compete vigorously, particularly in concentrated industries where harm to a competitor is more easily traced but where the consumer’s need for vigorous competition is particularly strong. The ultimate victim of any such tendency to pull ordinary competitive punches of course would be not the competing business, but the consumer. Although Congress did not intend its RICO treble-damages provision as a simple copy of the antitrust laws’ similar remedies, see, e. g., Sedima, supra, at 498-499, there is no sound reason to interpret RICO’s treble-damages provision as if Congress intended to set it and its antitrust counterpart at cross-purposes. For these reasons, I would read into the private trebledamages provision a “proximate-cause” limitation that places outside the provision harms that are traceable to an unlawful act only through a form of legitimate competitive activity. Applying this approach to the present case, I would hold that neither of Ideal’s counts states a RICO private trebledamages claim. National is a legitimate business. Another private plaintiff (the State of New York) is available. The question is whether Ideal asserts a harm caused directly by something other than ordinary competitive activity, i. e., lower prices, a better product, a better distribution system, or a better production method. Ideal’s second count claims injury caused by National’s (1) having taken customers (2) attracted by its new store (3) that it financed in part through profits generated by the tax fraud scheme, and the financing is the relevant violation. § 1962(a). The opening of a distribution outlet is a legitimate competitive activity. It benefits the firm that opens it by making it more convenient for customers to purchase from that supplier. That ordinary competitive process is all the complaint describes. And for the reasons I have given 487*487 in Part II, supra, I believe that the financing of a new store—even with funds generated by unlawful activities—is not sufficient to create a private cause of action as long as the activity funded amounts to legitimate competitive activity. Ideal must look for other remedies, e. g., bringing the facts to the attention of the United States Attorney or the State of New York. Ideal’s first count presents a more difficult question. It alleges that National filed false sales tax returns to the State of New York. As an action indictable under the federal mail fraud statute, that action is a predicate act under RICO. See § 1961(1) (2000 ed., Supp. III). National passed these savings on to its cash customers by not charging them sales tax, thereby attracting more cash customers than it would have without the scheme. Is this a form of injury caused, not by ordinary competitive activity, but simply by the predicate act itself? In my view, the answer to this question is “no.” The complaint alleges predicate acts that amount simply to the facts that National did not “charge” or “pay” sales taxes or accurately “report” sales figures to the State. National did not tell its customers, “We shall not pay sales taxes.” Rather, it simply charged the customer a lower price, say, $100 rather than $100 plus $8 tax. Consider a retailer who advertises to the customer a $100 table and adds, “We pay all sales taxes.” Such a retailer is telling the customer that he will charge the customer a lower price by the amount of the tax, i. e., about $92. The retailer implies that he, the retailer, will pay the tax to the State, taking the requisite amount owed to the State from the $100 the customer paid for the item. The defendants here have done no more. They have in effect cut the price of the item by the amount of the sales tax and then kept the money instead of passing it on to the State. They funded the price cut from the savings, but the 488*488 source of the savings is, in my view, beside the point as long as the price cut itself is legitimate. I can find nothing in the complaint that suggests it is not. For these reasons, I would reverse the decision of the Court of Appeals on both counts. [*] Gene C. Schaerr, Linda T. Coberly, Charles B. Klein, Robin S. Conrad, and Amar D. Sarwal filed a brief for the Chamber of Commerce of the United States of America as amicus curiae urging reversal. Henry H. Rossbacher and G. Robert Blakey filed a brief for the National Association of Shareholder and Consumer Attorneys as amicus curiae urging affirmance. Respondent also alleges that petitioners injured its business through a violation of § 1962(a), although the parties dedicate little attention to this issue. In light of the Court’s disposition of the § 1962(c) claim and the limited discussion of § 1962(a) by the parties, I agree with the Court that we should give the Court of Appeals the first opportunity to reconsider the § 1962(a) claim. Accordingly, I join Part III of the Court’s opinion. Sutherland’s treatise on damages, on which the Court relied in Holmes, labels the same type of claims indirect: those where one party is injured, and it is that very injury—and not the wrongful behavior by the tortfeasor—that causes the injury to the plaintiff. See 1 J. Sutherland, Law of Damages 55 (1882) (hereinafter Sutherland). Indeed, every example cited in Sutherland in illustration of this principle parallels Holmes; the plaintiff would not be injured absent the injury to another victim. See Sutherland 55-56. Indeed, in Associated General Contractors, we did not even squarely hold that the reason that indirect damages are not compensable was that the damages were not easily ascertainable; instead, we merely recognized the empirical fact that “[p]artly because it is indirect, and partly because the alleged effects on the Union may have been produced by independent factors, the Union’s damages claim is also highly speculative.” 459 U. S., at 542. Sutherland described the interrelation between the two concepts: “A fatal uncertainty may infect a case where an injury is easily provable, but the alleged responsible cause cannot be sufficiently established as to the whole or some part of that injury. So it may exist where a known and provable wrong or violation of contract appears, but the alleged loss or injury as a result of it cannot be certainly shown.” Sutherland 94. Nor is it fair to require a plaintiff to prove that the tort caused the lowering of prices at the motion to dismiss stage. Ideal’s complaint alleges that petitioners “pass on to National’s customers the sales tax `savings’ that National realizes as a result of its false returns.” App. 16. This allegation that, as a factual matter, National was able to charge a lower price after tax because of its fraud suffices to permit Ideal to survive a motion to dismiss on the question whether the prices were lowered due to the fraud, as opposed to other factors. Prosser and Keeton appear to use “direct” in a broader sense than that adopted by the Court in Holmes. See Prosser & Keeton § 43, at 273, 293-297. See Rehnquist, Remarks of the Chief Justice, 21 St. Mary’s L. J. 5, 13 (1989) (“I think that the time has arrived for Congress to enact amendments to civil RICO to limit its scope to the sort of wrongs that are connected to organized crime, or have some other reason for being in federal court”); Sentelle, Civil RICO: The Judges’ Perspective, and Some Notes on Practice for North Carolina Lawyers, 12 Campbell L. Rev. 145, 148 (1990) (“[E]very single district judge with whom I have discussed the subject (and I’m talking in the dozens of district judges from across the country) echoes the entreaty expressed in the Chief Justice’s title in The Wall Street Journal[, Get RICO Cases Out of My Courtroom, May 19, 1989, p. A14, col. 4]”).